Looking for a Top Notch Wine Without Spending a Fortune? Sometimes you just want to open up a really nice wine, but you don’t want to spend a fortune. Am I right??? That’s the perfect time to crack open a 2nd label!!! Top wineries and chateaux blend together their best grapes’ juice to produce their best possible wine for the Grand Cru or “first wines”. What do they do with the remaining juice??? Many of them make a second wine. 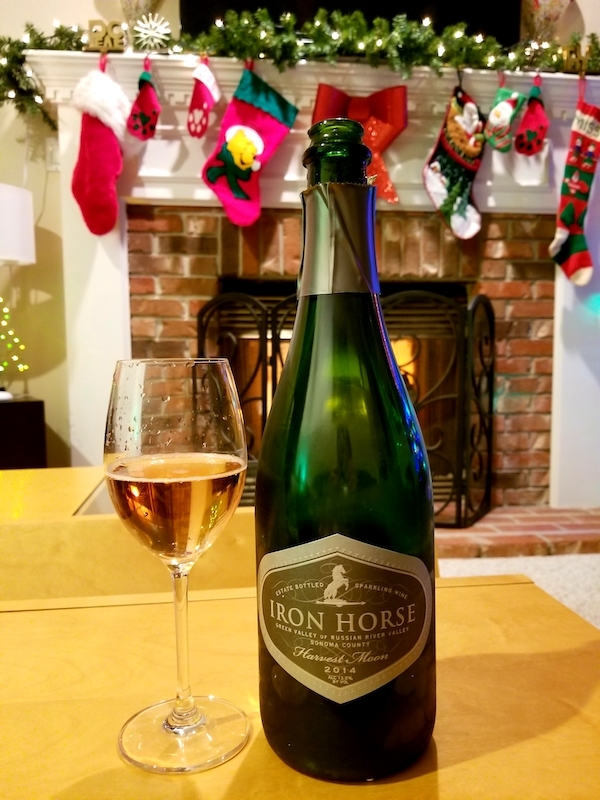 Usually made by the same winemaker in pretty much the same way as the winery’s famous wine, the big difference is that the juice for the second wine is often from younger vines or the second press. Although these wines may not be as complex, balanced and sublime, they ARE a lot less expensive! It’s a great way to try big name Bordeaux or other famous wines without the big time price tag. One of my favorite wines out of Napa is Dominus. Yes, they have a second wine! 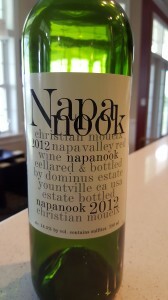 It is called Napanook and is an estate-bottled wine from the iconic Napanook Vineyard in Yountville. And it is wonderful! Christian Moueix (of Château Pétrus fame) and his Dominus team have been making this second label since 1996. Although it is made to drink young, it is a complex and age worthy wine that can be cellared for years. The other night I cracked open a bottle of the 2012 Napanook. This purple colored wine has blackberry, black cherry and leather on the nose. The palate bursts with the dark fruit and has some licorice and baking spices. The blend is 95% Cabernet Sauvignon and 5% Petit Verdot, and the results are lovely! Although this wine is drinking very well now, I’m thankful to have a couple more bottles of the ’12 to see how it evolves. So … if you’re looking for a fabulous wine from a top-notch producer but don’t want to go crazy with the price, remember to look into a second wine. Dominus’ “Napanook” is a great place to start! Ribbons & Bows and Plum on the Nose! Here’s the “Tell” on Patel! Owner, Sommelier, and Certified Specialist of Wine. Time to Unwine-D is all about enjoying wine. 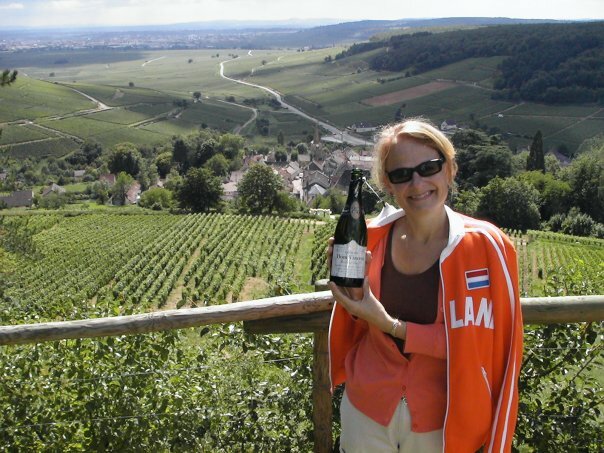 Whether you’d like a private tasting with a Certified Specialist of Wine (that’s me! ), or advice on your next wine travel adventure, you’ve come to the right place. Special Celebration????? Why Champagne, Of Course! What’s the Tastiest Hangover Remedy??? This Oklahoma Beer is More Than Just … OK! Stop to Smell (& Taste) Nathaniel Rose’s Wines in Michigan! Who’s Looking for a GREAT Value Chardonnay??? Private Wine Tastings and Corporate Wine Tastings Available! Site design by Mitch Media.